Teachers are accustomed to not getting all the recognition we think we deserve or for that matter need. We work, work, work, and work and oftentimes do what others consider impossible or not worthwhile. We do it because that’s what we are called to do. However, it is nice to know that we are appreciated. 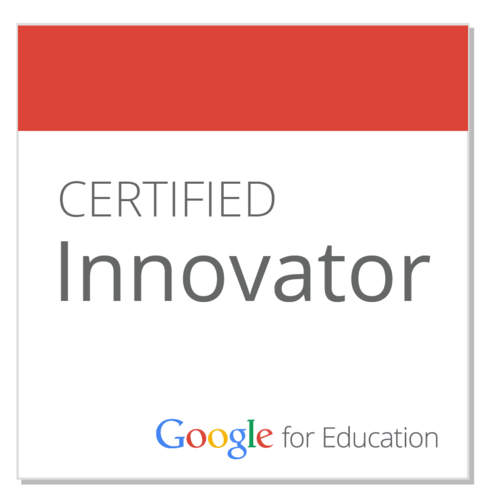 I am just like my educator colleagues. I want someone to acknowledge what I have done. I don’t want a parade down Taylor Street or anything like that, but some recognition would be nice. After a lot of deep reflection, I realized that being appreciated by my students means a lot more than being recognized by the adults in the building. Don’t get me wrong, I am truly grateful to those who voted me Teacher of the Year in 2010, but in the long run, who is really going to remember that? I have a couple of plaques and a ring, and I have the remembrance of being speechless after my named was called for the honor, but what will carry me through the rest of my career? Will it be the plaque and rings or will it be something else? Surprisingly enough, it is the something else that will carry me through the days when I need a little push so I can continue to do God’s work. I spent eleven years in the classroom, and for eleven years I knew there were students who no matter how hard I tried, I could not make a connection. I suppose that some just didn’t get my charm. Perhaps they didn’t like my teaching methods, or just maybe, they didn’t like me. I hate to admit that I am bothered by the fact that I care whether or not the kids liked me. I did and still do although I’m not teaching anymore. In the few months since I have not been a teacher, I have been thinking a lot about being a teacher. Why? I don’t know. I think I have been thinking a lot about teaching because of the card I carry in my purse. There are a lot of things in my purse, but the card is special. It is special because it was given to me by one of those kids I thought I was not reaching. I taught her for three years, and each year she would tell me she wanted to be in my class the next year. I did not believe her words. I thought she was just saying it because kids will tell a teacher anything if they think it will help their grade. They don’t realize that their grade is just that, THEIR grade. I don’t randomly give grades because kids say nice things to me. It was the end of the school year, and a lot was going on. I was trying to get my kids ready for the End of Course Test, finish grading research papers, and hold on to my sanity. It had been a tough year, and I was ready for summer. The day I received the card was a normal day. I had been speaking to the principal while in the faculty dining room. Whe n we came out, we ran into the student and her father. They were looking for the principal; however, she had also been looking for me. She handed me the card, thanked me, and hugged me. I was floored. She had not been my student in a year although she would speak whenever she saw me. The principal took her and her father to his office so they could speak. I stopped in the hall and read the card. It brought tears to my eyes. In the time it took me to read the card, I realized I was wrong. She didn’t dislike me, and I HAD gotten through to her. Her words meant more to me than the Teacher of the Year plaques and the ring. Why? 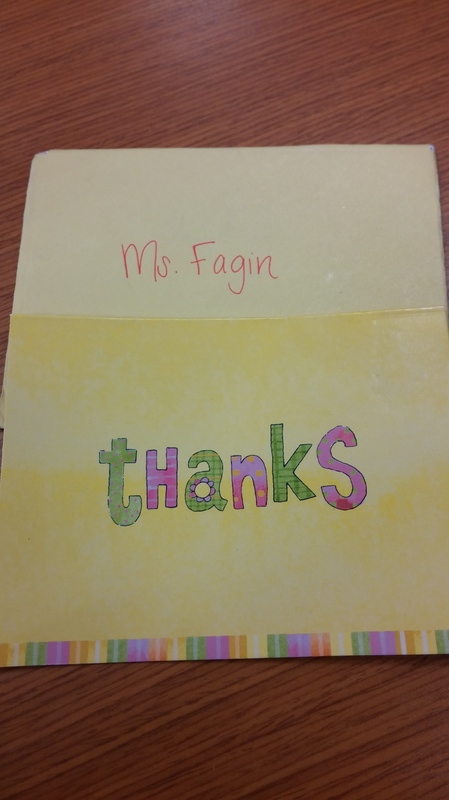 Because a student told me, Leslie Fagin, that I mattered to her and she thanked me. She didn’t have to give me the card. I doubt her parents told her to do so. She did it on her own. I carry the card in my purse as a reminder. When I reach in to get money or medicine or even a snack, I feel the envelope, and I remember. I remember that I mattered to at least one. As far as accomplishments go, mattering to the students is more important than anything else. I doubt people realize that about me. I always cared about my students regardless of what they thought or what others said. They mattered to me, and I suppose, for some, I mattered.